THE HSE HAS initiated legal proceedings against the ‘fake’ MyOptions.ie website for unplanned pregnancy services. Health Minister Simon Harris confirmed to the Oireachtas Health Committee today that court action is being taken against one website that has a similar name to the official HSE ‘My Options’ site. Harris said he is “extremely disturbed” that despite the referendum having passed that some people still believe it is acceptable to treat unplanned pregnancy services differently than other legally regulated services. “We are not going to stand for it,” said the minister, who added that the idea that people would set up a “fake” MyOptions.ie website is “despicable”. Upon his request the HSE has initiated “cease and desist” legal proceedings against the owner of the website. Proceedings were initiated on 2 February, the committee was told. He thanked the HSE director general for “showing leadership” and taking “swift action” in relation to this matter. Concerns have previously been raised about when women put the term “My Options” into a Google search in Ireland, the address, phone number and website given in the Google listings is often for a different entity to the HSE site. The non-HSE website (which includes the words My Options in the title) contains an Irish mobile phone number and tells people to contact to book a free ultrasound “if you are thinking about termination and need to know how far pregnant you are”. The website is poorly designed, with minimal text in areas or placeholder texts in certain sections. It also links to a YouTube video claiming to expose a cancer cover-up conspiracy with regards to abortion. 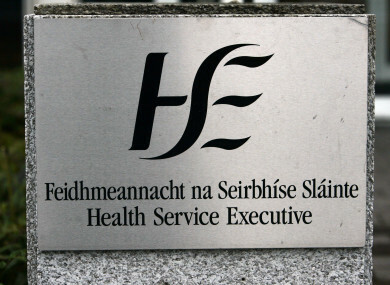 The HSE has recommended that women searching for support for an unplanned pregnancy visit only a recognised or HSE-funded unplanned pregnancy counselling agency. “We are aware of a number of websites and ads that are appearing in search results and social media that claim to be providing unplanned pregnancy support services under variations of the myoptions name,” a spokesperson previously told TheJournal.ie. MyOptions.ie is part of the HSE website, and the official myoptions helpline is 1800 828 010 for unplanned pregnancy information and support. My Options, launched last month, is the new free unplanned pregnancy support service which serves as a first point of contact for women dealing with an unplanned pregnancy. Abortion is now legal for a variety of reasons in Ireland, following the Eighth Amendment vote and legislation passing through the Dáil last year. Email “HSE initiates legal proceedings over 'fake' MyOptions unplanned pregnancy website”. Feedback on “HSE initiates legal proceedings over 'fake' MyOptions unplanned pregnancy website”.